Eric Gill’s Distributist essays dealt chiefly with the problems arising from the use of money in modern society and the necessity of restoring ownership to the working classes. He was persuaded that the ills of unemployment and all economic problems (indeed, moral and sexual problems) could be solved if Britain’s leaders abolished usury and the “trade in money.” It was his conviction that currency should exist only as a means for exchanging goods and as a measurement of production. In Gill’s analysis, the government’s chief monetary responsibility should be the regulation of supply so that purchasing power would better correspond to the strength of industrial and agricultural production. He felt that the currency system as it presently existed was a convenient tool of bankers and moneylenders in whose interests the power of the monarchy had been destroyed. This particular approach to the currency problem became the stock in trade of most Distributists and was further elaborated by Belloc in his various essays on the international monetary conspiracy. Gill’s other great economic concern was the relationship of the working man to property. 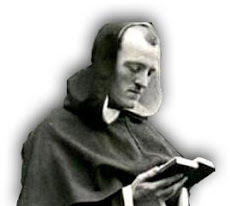 Unlike many of the Catholic clergy, who asserted that private ownership of property was fundamentally a moral issue, Gill emphasized that men needed a sense of ownership to inspire responsible workmanship and quality in production. It was in this respect that the denial of private property became a breach of morals: a decline in the quality of work was in itself immoral. Gill was greatly troubled that the Catholic clergy had ignored these kinds of issues relating to the necessity of private property. Corrupted by five centuries of commercial rule and the consequent development of materialism, the clergy failed to recognize that the foundations of modern industrial civilization rested upon basically evil and unchristian assumptions. In the modern philistine environment the idea of human work had become a concept with no association to anything but money. The common arts, the means by which the basic necessities of life were provided, had become submerged in the mechanical system of international moneylenders. 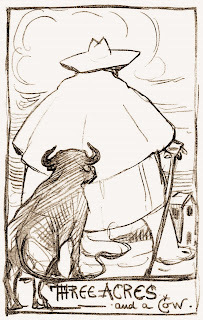 Gill consequently chastised the clergy, and even the hierarchy, for refusing to condemn the structure of modern industrialism and its currency system. For Gill, the obscenity of industrialism was that it destroyed the very thing which could give work its ultimate raison d’être: namely the creation of something good to serve man’s spiritual, intellectual, and physical needs. Industrialism ineluctably had reduced the necessities of man’s sustenance (food, clothing and shelter) to a mere material significance. It also had degraded work and reversed what Gill considered to be the priorities of Christian civilization. Leisure which, like sleep, was meant to refresh the laborer so work could be renewed with greater vigor, had become the end for which work was done in modern civilization. A life of pleasure had become the object of the secular industrial state. Gill was not a particularly controversial figure within Distributist circles, though his strong personality and outspoken opinions on economic and social issues furrowed the brows of the Catholic clergy. Generally speaking, his views on money, work, and property were a major contribution to Distributist theory, and Gill himself always remained one of the movement’s most influential writers. But just like most other Distributists, Gill was far too rebellious for many Catholics and was often criticized for extremism. The most disputatious of the Chesterbelloc following, the men responsible for most of the arguments, over the proper definition of Distributism and its methods of reform, were A.J. Penty and Maurice Reckitt. 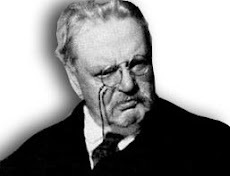 As early as 1925, just after Chesterton’s paper began publication, they touched off a major debate over the proper formula for bringing about a Distributist society. Reckitt refused to support the contention that machinery and industrialism could not serve man and hence had to be scrapped. His chief objection to industrialism was its large-scale organization which, tending to monopoly, rendered small-scale ownership an impossibility. Instead, accepting the benefits and necessity of machine production, Reckitt asserted that a return to normal social relationships could best be served through a more equitable distribution of consumer purchasing power. Rather than beginning with what Distributists saw as their chief objective, namely the redistribution of property, Reckitt proposed distributing income or shares in industry to individuals and families. Penty quickly took issue with this position, since he felt it would be impossible to convince people to part with their wealth voluntarily. In Penty’s view, industrialism was an unyielding, incurable disease, and if Distributism were to become a reality, there would have to be a change in the spirit of men, which naturally reqiored the abandonment of industrialism. He rejected Reckitt’s proposal, because it aimed “to stabilize society in its present upside down condition.” Penty called himself part of the “Fundamentalist” school of Distributism, which had concluded that there could be no solution to societal ills apart from a return to the simple conditions of life. The “Empiricists,” he explained, were those like Reckitt (old collectivists who read the Servile State and became guild socialists), who turned to “Distributivism” but were about to spoil the idea by interpreting it in terms of a reshuffle of industrialism rather than as a return to fundamentals. Reckitt was convinced that the Chesterbelloc alternative could be put into practice only through the principles of Douglas’ social credit ideas. Thus he repeatedly called upon the League to draw up a plan for the implementation of Distributism via the mechanisms of social credit. Reckitt fundamentally disagreed with the League’s official policy of acting solely as a propagandist organization (a “seed-plot” for the germination of values, principles, and ideas), and insited that the movement had to get something concrete accomplished. In Reckitt’s view, the economic order was already collapsing, a clear indication of this being the state’s inability to distribute the goods it produced. Like most Distributists, he believed the postwar depression to be the result of financial manipulation. Consequently, he urged Distributists to attack the money monopoly by demanding a redistribution of income. This approach was necessary as a precondition for a “system of distributed tangible assets, in land and small workshops and other forms of concrete property.” For this purpose he proposed the establishment of labor or credit banks, which would be the repository of all wages and salaries of those working in industry. Each worker would have a voting share in the bank, and, in turn, the banks would enjoy a flow of currency from those who produced goods. This credit scheme, in which every worker was entitled to a dividend for each contribution to the labor bank, would ultimately allow the workers to assume the means of production by buying out the capitalist and, consequently, bring about true democracy by eliminating the monopoly of finance. Distributists were continually criticized for their petulance, indecisiveness, and failure to develop a systematic plan for social, economic, and political reform. These criticisms were unfair in many respects. First of all, it must be emphasized that G.K.’s Weekly and the Distributist League, from the moment of inception, were primarily intended as propagandist organs, whose objective was to influence public opinion. They did not fail in this endeavor, for the influence of Distributist ideas was considerable. Secondly, over the years Chesterton, Belloc, and the Distributist League did develop what one could label a Distributist program, with stated aims, principles, and practical suggestions for implementing certain necessary reforms. Yet, in no one piece of writing was a systematic account of Distributism ever given, nor was the Chesterbelloc ever sufficiently clear in explaining their attitude towards practical politics. Belloc’s final proposals for the practical implementation of Distributism appeared in his book The Restoration of Property (1936). This was not a complete statement, however, and to be appreciated fully it must be read as a sequel to The Servile State (1912). 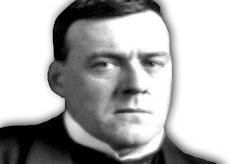 Likewise, Belloc’s political views were expressed in various books over the years, the most succinct statements appearing in the House of Commons and Monarchy (1922). Chesterton’s political and social views were never stated as clearly as those of Belloc. Generally speaking, his evasive—perhaps even elusive—feelings on these subjects seem to have been taken from Belloc. His support of Mussolini is a fairly good example of Belloc’s influence.